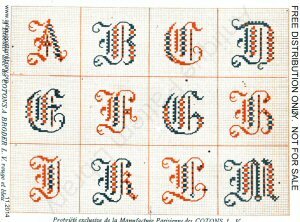 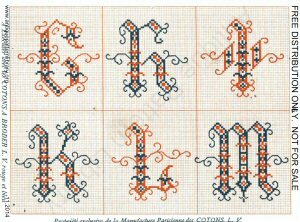 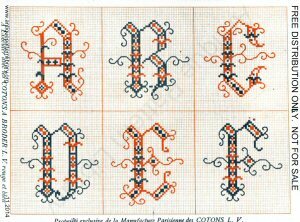 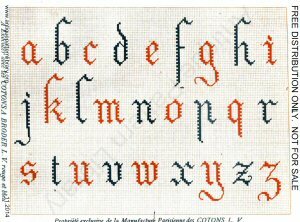 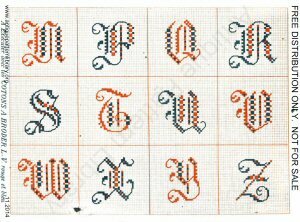 Small booklet with eight pages of cross-stitch letters in two colors. 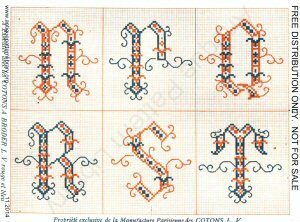 One lower-case alphabet, and three sets of initials of increasing size and complexity. 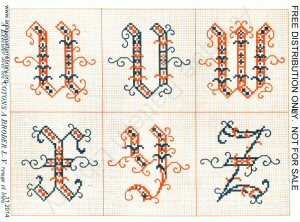 Scans donated by Sytske Wijnsma, edited by Judith Adele. 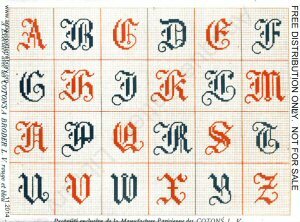 Not charted yet.